I am so happy that the weekend is finally here! 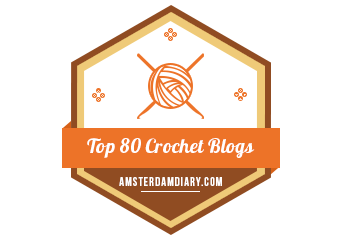 That means more time for crocheting–hooray! This week’s squares, as promised, are extra Kaylee-rific: it’s her parasol and her fancy party dress! One of the reasons I love Kaylee so much is because she is just so sunny. She’s bright and funny and always looks for the best in every situaition. I wanted these squares to reflect her wonderful personality, and I think they do the trick! I am still working on Kaylee’s party dress square (sad-face! ), but I love how the parasol turned out. It was a little more complicated because of all the color changes, but it sure looks beautiful, don’t you think? You can downlyoad the PDF graph for Kaylee’s Parasol here. You can download the PDF graph for Kaylee’s Party Dress here. Next week’s squares are the Alliance Flag (boo!) and the Shiny square (yay)! I’m pretty excited for these two squares because I think they do a great job of rounding out the different moods of the series. Next postCall for Pattern Testers! Apologies! I accidentally posted this post earlier than I intended–you must have sneaked through right when I deleted the link. You can access it now though!